The Asia-Pacific Services Coalition (APSCo) is the world’s largest coalition of services industries. Formed in 2015, it is composed of major business associations from the Asia-Pacific region dedicated to promoting the importance of the services sector. The collective goal is to work with businesses and governments to foster growth and efficiency in the services sectors through increased trade and investment, greater innovation and skills development, and pro-growth regulation in all Asia-Pacific Economic Cooperation (APEC) economies. APSCo History: When and How was APSCo formed? With support from the APEC Business Advisory Council (ABAC), the International Trade Centre (ITC), the Australian Department of Foreign Affairs and Trade (DFAT) and the Pacific Economic Cooperation Council (PECC), the APSCo was launched on 7 Sept 2015 at a Regional Conference of Services Coalitions: “Charting a New Course on Services – a call to action in APEC”, in Cebu, The Philippines, in the margins of the APEC Structural Reform Ministers Meeting. ASR Directors and members played a prominent role in that Conference proceedings. (See programme http://mddb.apec.org/Documents/2015/SOM/CONF/15_som_conf_001.pdf and Pre -Conference APEC Welcome Dinner video https://www.youtube.com/watch?v=e6ov1LEHtvg). 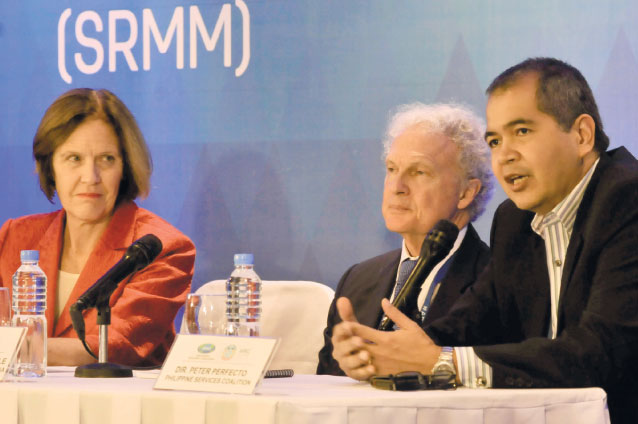 Vivianne Arnold, ASR Director (then President) with John Larkin, then Chair APEC Committee on Trade and Investment and Toshiyuki Takemoto, Japan Senior Official for APEC, Cebu 2015. Asia Pacific Coalition members sign the Memorandum of Understanding establishing the APSC. Inaugural APSC Media Conference: Jane Drake-Brockman, ASR Director and then Head, Services Programme, ITC; Antony Nightingale, Jardine Matheson, and ABAC Hong Kong Services Champion; and Peter Perfecto, CEO Philippine Services Coalition. 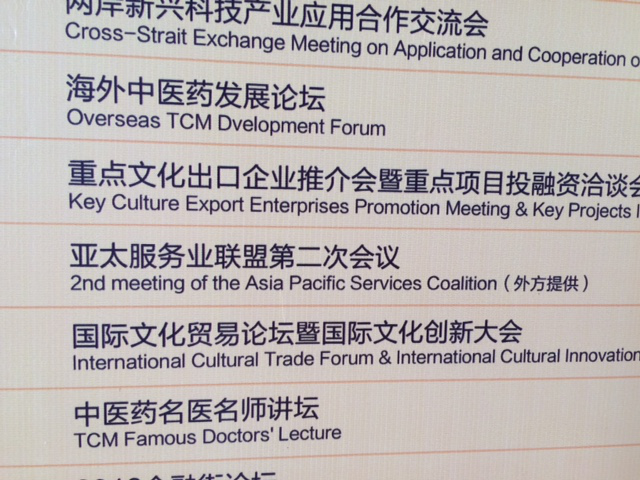 The second meeting of the Asia Pacific Services Coalition was hosted by the China Association for Trade in Services (CATIS) in May 2016 in the margins of the Beijing China International Fair for Trade in Services (CIFTIS) and the associated WTO Forum “Innovation and Trade in Services: Opportunities and Challenges in the Era of Digitization” (which ASR Director Jane Drake-Brockman was invited to address). 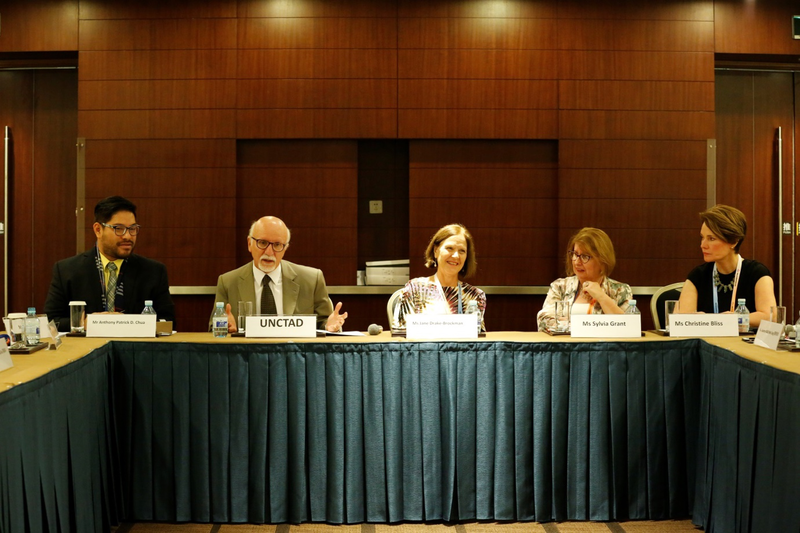 The 4 Coalition co-convenors and Guillermo Valles, UNCTAD, Beijing 2016. 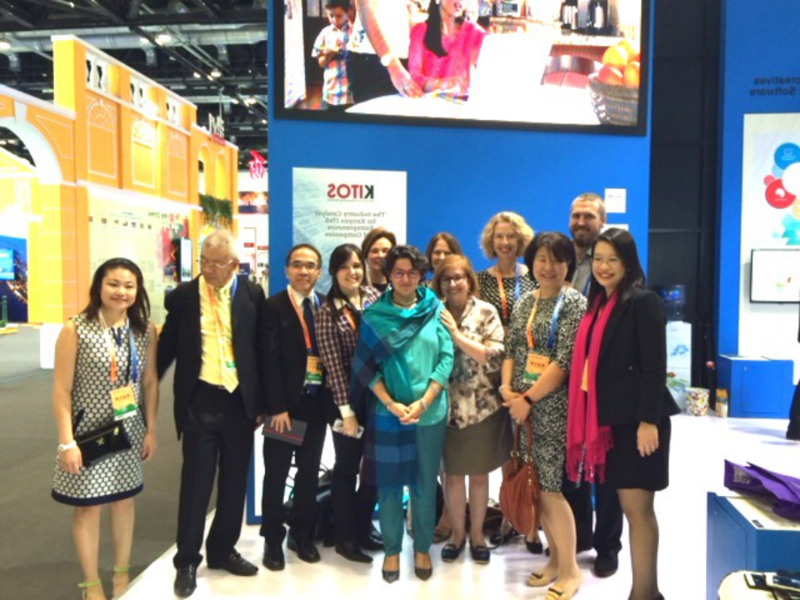 Asia Pacific Services Coalition members with Arancha Gonzales, Director-General, ITC, Beijing 2016. 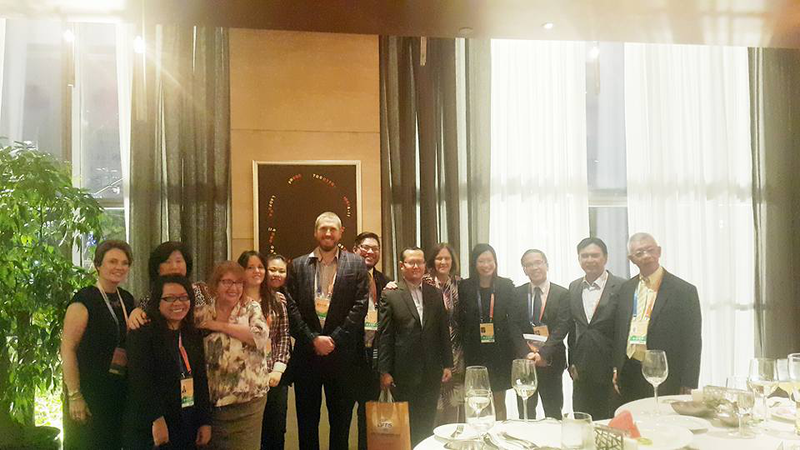 Asia Pacific Services Coalition members at a reception sponsored by PECC, Beijing 2016. What is ASR’s role in APSC? ASR was instrumental in the formation of the Asia Pacific Services Coalition. Over the previous decade, ASR had steadily built a variety of regional business and policy advocacy alliances, relationships and memoranda of understanding including notably with the Indonesian Services Dialogue, the China Association of Trade in Services, the Malaysian Services Coalition, the Hong Kong Services Coalition, the Taiwan Coalition of Service Industries, the US Coalition of Services Industries, Japan Services Network, Canadian Services Coalition, and the Philippines Services Coalition and worked increasingly closely with both ABAC and PECC. ASR Director Jane Drake-Brockman also oversighted a body of research at ITC on building and sustaining coalitions of services industries, which stimulated emergence and rejuvenation of several new coalitions on both a regional and global basis, including the Philippine Services Coalition. ASR took a lead throughout this period, in advocating (especially through ABAC and PECC) for regional services stakeholders to call jointly for a big new services initiative in APEC. 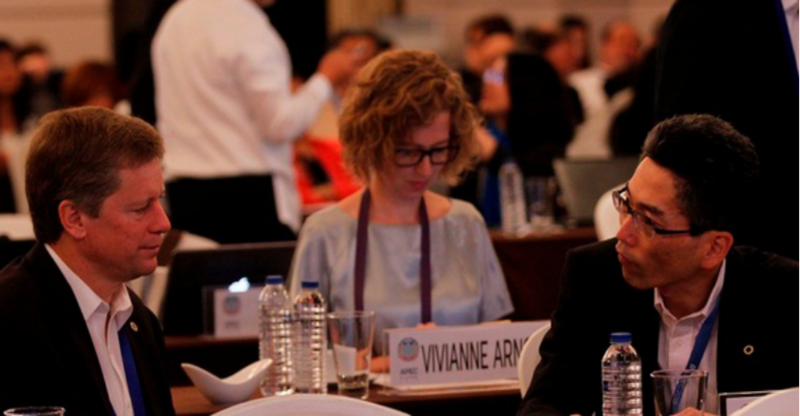 ASR Directors and members became frequent speakers at APEC meetings, successfully calling for initiation of APEC Public-Private Dialogues (PPDs) on Services, the first of which was formally hosted by the Indonesian Services Dialogue (ISD) in Surabaya in 2013. ASR was invited to participate in Surabaya and in subsequent high-level APEC PPDs in Chinese Taipei; in Kazan and Moscow, Russia; in Beijing and Qingdao, China; in Clark Free Zone, Borocay and Manila in The Philippines; in Arequippa and Lima in Peru and in Hanoi, Vietnam. As these various consultations delivered increasing political level support, ASR was among the first, along with ABAC Champions from Hong Kong (China), New Zealand, Indonesia and The Philippines, to call for regional stakeholders to come forward in a formal business coalition. 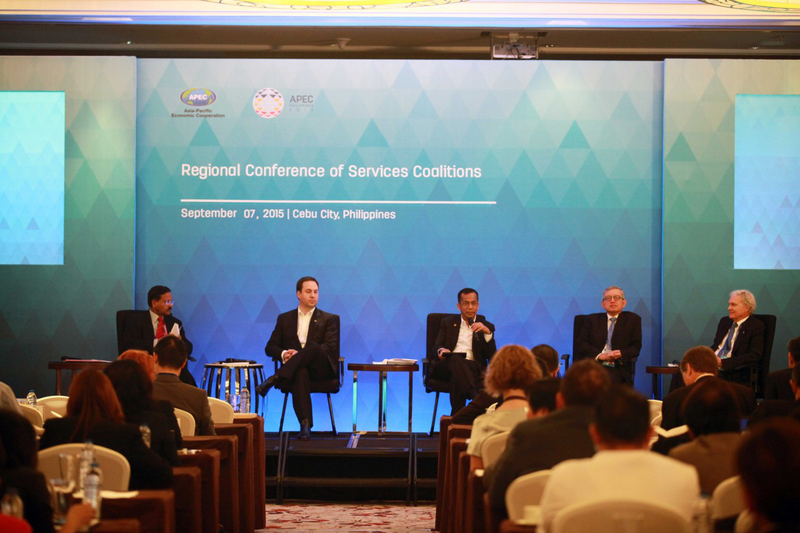 By 2015, the time was right for ASR and ISD to work closely behind the scenes with the Philippine Services Coalition (PSC) to push for big new services initiatives in APEC. ASR members and PSC members had a major hand in the conceptual development and drafting of the APEC Services Competitiveness Framework which was adopted by APEC Leaders in Manila 2015. 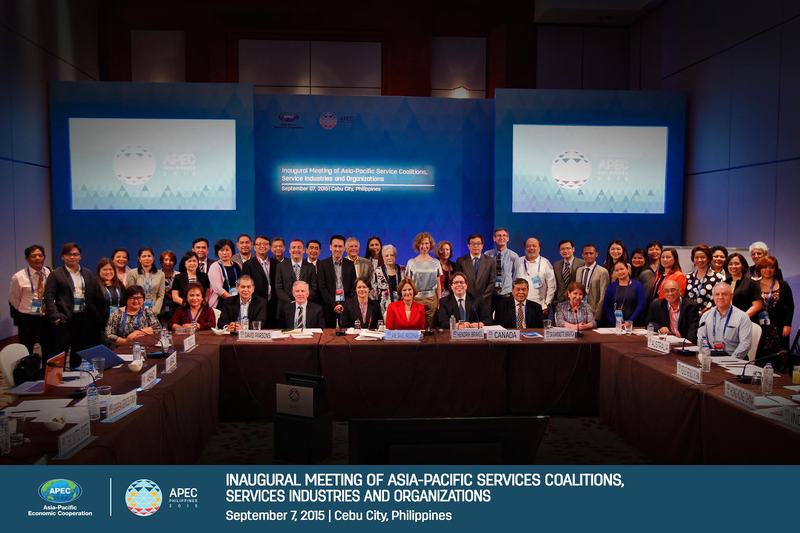 Establishment of the Asia Pacific Services Coalition cemented an ongoing collaborative APEC services stakeholder consultation process. ASR took a lead in raising funding to assist, especially smaller or more remote, business associations to participate in APSC. The APSC is co-convened by the Australian Services Roundtable (Jane Drake-Brockman) and the US Coalition of Services Industries (Christine Bliss), with support from the Philippine Services Coalition (Patrick Chua) and the Lima Chamber of Commerce (Sylvia Grant). Secretariat services are provided pro bono by Australian Services Roundtable Director (Jane Drake-Brockman) with periodic assistance from the other co-convenors and from the PECC. APSC reports after each meeting to ABAC via the ABAC Regional Economic Integration Working Group (chaired by Sir Rod Eddington AO) and ABAC Services Champion HO Meng Kit, Singapore Business Federation. ASR members and other APSC members contributed significantly to the drafting of the APEC Services Competitiveness Roadmap and the APEC Services Competitiveness Roadmap Implementation Plan in 2016 in Lima. The Roadmap sets out concrete actions and mutually agreed targets to facilitate services trade and investment and enhance the competitiveness of the services sector across APEC economies. Increasing the share (%) of value-added of the services sector in the total GDP of the APEC region so that it exceeds the global average level by 2025. The 2016 APEC Leaders Statement specifically confers on APSC an ongoing role in the monitoring and evaluation of these targets.